bushes, shrubs and palms too! Our landscape pest control services include fertilization and pest control for your beautiful bushes, shrubs and decorative palms. Keep your landscape beautiful with the help of Premier Pest Management. 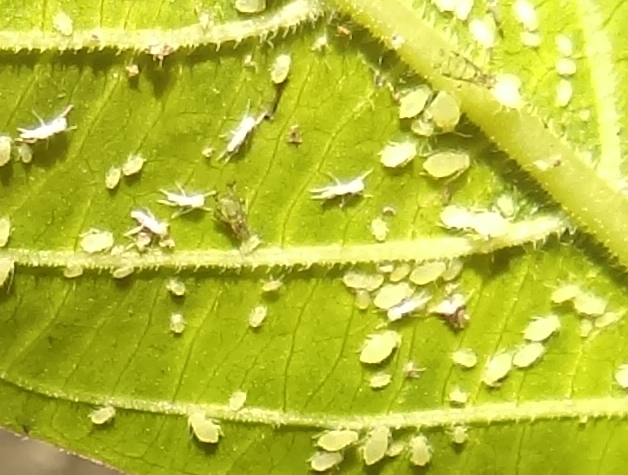 Aphids are Bad(pictured)! Big-eyed bugs are good! They’re small insects (approximately 1/6 inch long). They are generally regarded as beneficial because they prey upon numerous kinds of insect and mite pests of turf, ornamental and agricultural crops. Please do not confuse these with chinch bugs.